A network of several single track loops, with some old logging road connections. Some loops are not well kept. Others are. Located in the Ouachita Nat'l Forest, the trails go through pine-hardwood forest, and some follow along beautiful Lake Ouachita with great views (and swims). Many switchbacks, some rock gardens, and some tough and some long climbs. 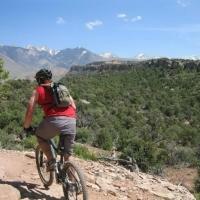 The trails are fairly remote, a riding partner is recommended. Also, some trails are hard to ride after they've done controlled burns in the forest. Review: This is a true backcountry trail! It is not machine built, store bought singletrack. The entire system is clean and clear as of January 2018. However the possibility always exists of a tree being in the trail, as it does not get ridden enough. Most of the south loop is bench cut and very technical, black rating. While Morgan's and north loop are not as technical of a trail, they are still good, blue rated, maybe some sections of it black. This trail has some sections of hike a bike, but nothing too bad. Rocky ridge is not exactly rideable the whole way, but it is a beautiful trail and fun to hike. Review: This trail was easy access for us through the State Park where we were staying. Without knowing the trail before hand we rode many of the old road sections to create some loops. We found them to be too steep in some sections and therefore a bit washed out. We also tried the Rocky Ridge Loop and quickly found that it was above our technical abilities so we bailed quickly. The South Loop provided us with the best singletrack and salvaged the ride. We didn't get to the North Loop or Morgan Hollow. Signage was good and with a map from the State Park office we could navigate easily. The most disappointing thing was that the trails aren't being adequately maintained. There were many downed trees that looked like they had been there a while. A lot of brush was encroaching into the trail corridor. Have the locals lost interest in this trail with so many other good ones in the area? Review: This trail is very overgrown, my face is scratched everywhere and I ruined a pair of lenses. There is a 3 MILE!!! section of hike a bike. No way to ride this, it should not even be advertised as a mountain bike trail. It was getting dark and I thought I wouldn't make it back to my vehicle. There are some very steep descents that caused me to end over the handlebars twice. If you make a mistake on the bench cut trail you are going to slide into Lake Ouachita. Thanks to whoever built the trail, and I am appreciative of all those that maintain the trails with their free time, but this is the worst trail I have ever ridden. Review: This place has some well used trails, and others that you have to bushwack when you get lost (the trails aren't used that much). The two main loops are worth it, especially the one that follows along Lk. Ouachita. I tried to ride after they did a controlled burn, and had a little trouble following the trail. Bring extra tubes. I also fell in a ravine, and was lucky I didn't get hurt. Don't ride alone. 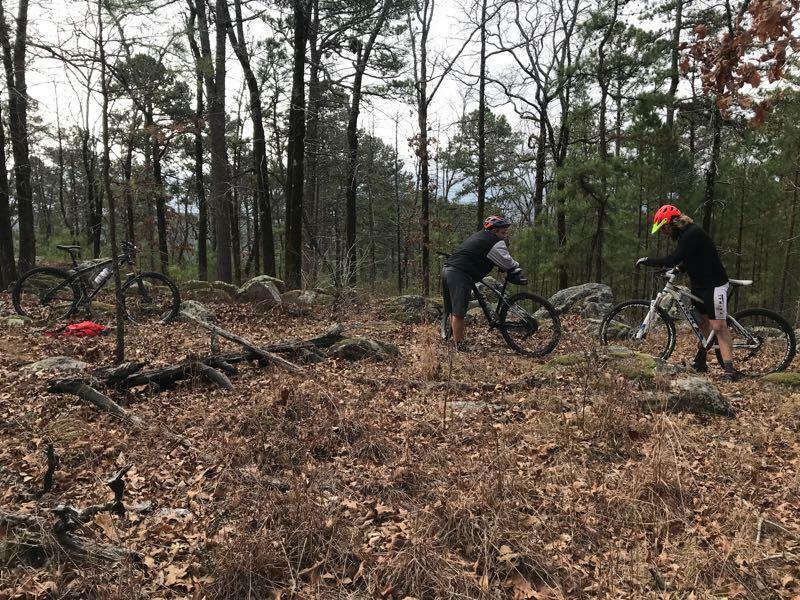 Little Blakley MTB Trail 2.33 out of 5 based on 4 ratings. 4 user reviews.